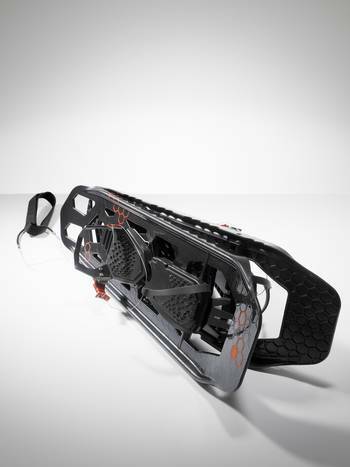 Polar 2.0 is a performance and user focused snowshoe presented by ethree as its latest development. 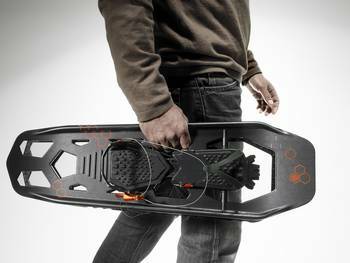 A new binding concept allows fast and easy access to any kind of shoes. 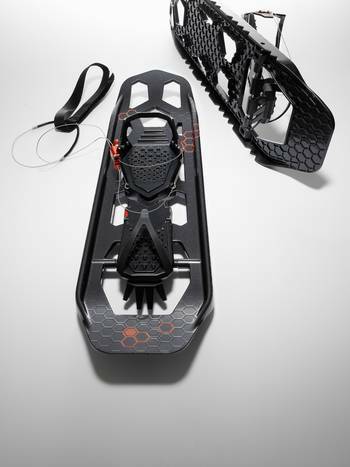 Designed for alpine terrain as well as for back country trails polar 2.0 is equipped with a 10° ClimbAssist, 360°Grip edges and a DuckTail for better walking performance.